The Archaeological Survey of India (ASI) is considering a proposal to recommend recognition of the famous Lord Venkateswara Temple in Tirupati as a monument of national importance in view of its archaeological, epigraphical and historical background and cultural significance. The proposal is being considered by the ASI and it is likely to make the recommendation to the Union Ministry of Culture, K K Sharma, Deputy Superintending Archaeologist of ASI, told PTI. He, however, said a timeframe cannot be put on when the proposal is likely to be made formally to the government as the process takes time. Declaring the ancient temple, located atop the Tirumala hills, as a protected monument by the ASI would go a long way in conserving its archaeological value and heritage, Sharma said. The matter could be expedited if the Tirumala Tirupati Devasthanam (TTD), the governing body for the temple, agrees to the proposal for making the temple as a protected monument, he observed. The ASI feels that dismantling of the historical thousand pillar mantapam at Tirumala and the gold-plating of the outer walls of the ’garbha griha’, where inscriptions exist, as per the ’Ananta Swarnamayam’ scheme are against archaeological norms. 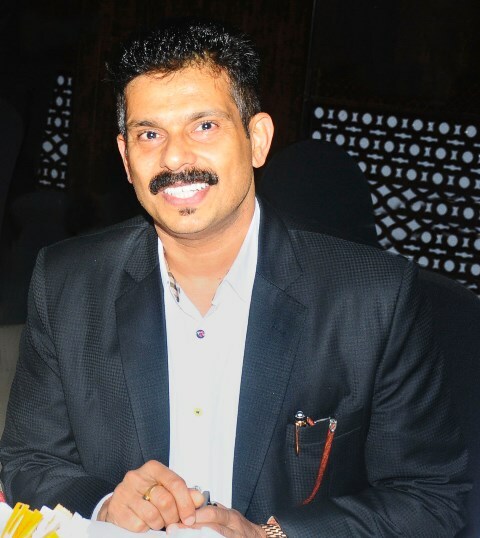 Separately, the ASI, in an RTI reply to B K S R Ayyangar, a social activist based at Eluru in West Godavari district of Andhra Pradesh, has favoured several steps to ensure the temple’s protection.The petitioner had sought information over action initiated by the ASI regarding recognition of Lord Venkateswara Temple as a monument under ASI. In the reply, the ASI said the temple may be considered for protection by ASI as a monument of national importance and also talked about dismantling of the thousand pillared mantapam as a violation. Further, it favoured that any activity at the temple which is related to the archaeological aspect be informed to the Archaeological Survey of India and Department of Archaeology and Museums, Andhra Pradesh to review the pros and cons as well the archaeological norms thoroughly and recommend the necessary inputs for execution. 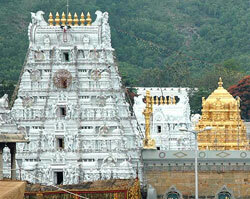 Tirumala Tirupati Devasthanam (TTD) may provide a space for archaeology by nominating the Director General or representative of ASI and Department of Archaeology and Museums as a member in the Trust Board which takes policy decisions for the benefit of devotees and the temple to prevent any action violating archaeological/heritage norms at the policy level itself, the ASI said. Tirumala Tirupati Devasthanam may provide the fund for protecting cultural heritage and monuments which are in need of attention, it said. Observing that the temple is visited by about 50,000 devotees per day on an average and about four lakhs during festivities, the ASI commended the way TTD is dealing with all aspects of the temple administration. It is necessary to have an archaeological wing to review and recommend suitable procedure in view of archaeological norms wherever necessary, ASI said. "The archaeological wing is to be adequately equipped with technical team headed by a Director. 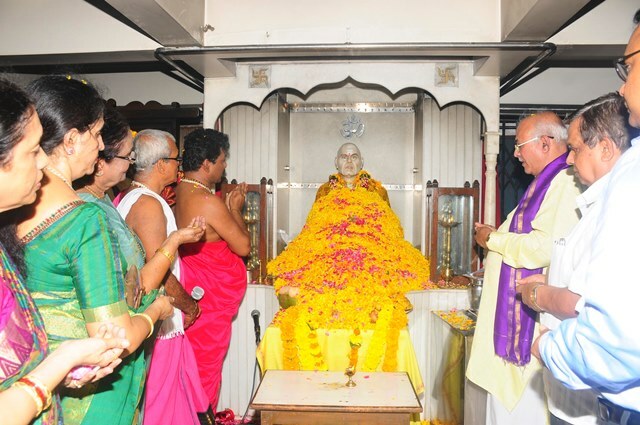 The decision for betterment of the facilities for the devotees are to be reviewed there only to avoid delay. Since, a museum also exists behind the main temple all branches are to be brought under the archaeological wing. This may solve the problem of violating the laws to some extent," it said. 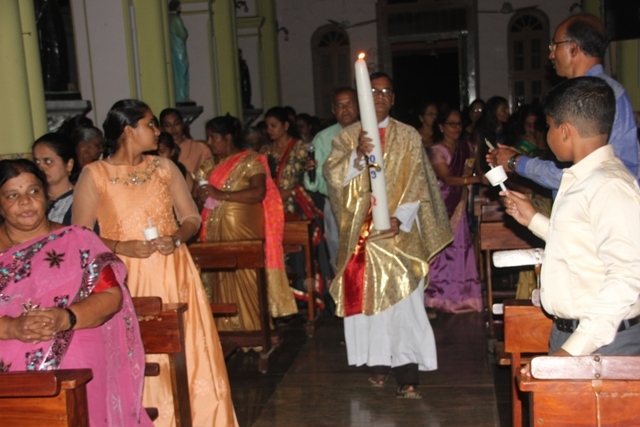 Easter Sunday Celebration at Kemmannu Church.